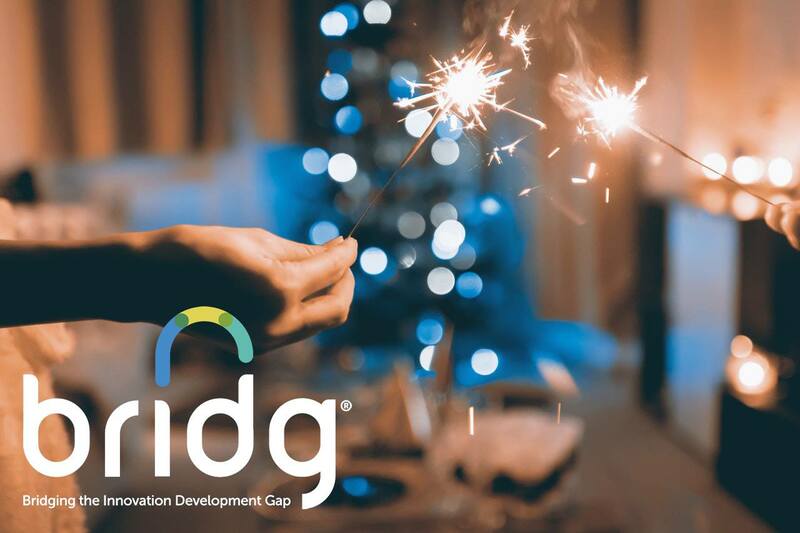 As we start the new year, it is important that we take time to reflect upon the last year and the incredible success achieved at BRIDG. We kicked off 2018 with new industry partnerships spanning from the launch of our Digital Twin for Semiconductors showcase in collaboration with Siemens to our partnership with Massey Services, the nation’s fifth largest pest prevention company, to co-develop innovative products leveraging sensor technology to benefit its customers and businesses. Additional partnerships are in the works and we look forward to sharing that good news with you in the months ahead. We also welcomed new members to the growing BRIDG family, nearly doubling our staff count. This includes key roles to the leadership team with the additions of John J Callahan and Brett Attaway, further expanding our technology and business development outreach initiatives. On site, progress continued in our fab as we completed tools installation and successfully processed our first lot of wafers. Be sure to read our October 2018 newsletter for additional insight into what was made in our first lot of wafers. Thank you again to our partners, elected officials, and supporters who joined us celebrate these significant wafer processing milestones. We ended the year on a great note after receiving fantastic feedback from our partners at Northern Arizona University. Under the leadership of one of their distinguished professors, parts from our first qualified lot of wafers were tested for use as Physically Unclonable Function device components, applying microelectronics to strengthen hardware security. With a million data points manually collected by the professor and SICCS students, the results were extremely positive and noted as “the best results personally ever tested during this start up point.” We are so proud of our BRIDG team and the hard work each member put into obtaining the successful results yielded from this qualification lot. To top it all off, BRIDG was honored with many accolades over the past year, including designations as a “Change Maker” Impact Leader by Heart of Florida United Way and as “District Business Partner of the Year” by the School District of Osceola County. We are humbled by these accolades and hope to continue making our community proud for years to come! Finally, we witnessed a rapidly changing landscape at NeoCity in the past 12 months. NeoCity has expanded to become the home for not only the BRIDG foundry, but two ongoing construction projects as well: the NeoCity Class A office building and NeoCity Academy. Although classes began for NeoCity Academy’s inaugural ninth-grade class temporarily held at Gateway High School, plans are on track for students to move into the new building once the 2019-2020 school year starts in the fall. We are so excited to watch all this happening in our own backyard! It is a privilege to work alongside our NeoCity neighbors to change the face of Central Florida. From Osceola County, the University of Central Florida, and the Florida High Tech Corridor, to our elected officials and industry partners, to our supporters and dedicated team here at BRIDG, we are so thankful for all those who came together to bring BRIDG to fruition. It is an honor to have your support as we work to bridge the innovation development gap that makes commercialization possible. Happy New Year! We look forward to another fantastic year in 2019.